The application has been developed over 15 years using experience from customers and the processes recommended in the AIChE Guidelines for the Management of Change for Process Safety published by the Center for Chemical Process Safety. The application uses a stage gate process with configurable approvals and action interlocks to ensure that the MOC process is consistent and robust. The Stage Gate processes locks off information as it is approved and there is an audit log showing the workflow steps. The application allows the workflow stage gates to be configured to require different signatures based on the risk classification of the change. The risk assessment checklists and pre-commissioning checklists are also configurable as are the email reminders about approvals, actions and records that need to be completed. Where records or actions are identified as part of the change process these generate individually trackable actions with assigned actionees and owners. These can be updated and closed by the actionees and can be interlocked to stage gates in the MOC process. Actionees receive consolidated reminders of outstanding actions and the dashboards can be used to look at an individual’s actions across all changes. The application has dashboards showing changes and actions by status and by the current actionee. Users can click on these dashboards to open the underlying data. The application also integrates with Excel to automatically generate configurable charts and tables of changes, actions and record updates. 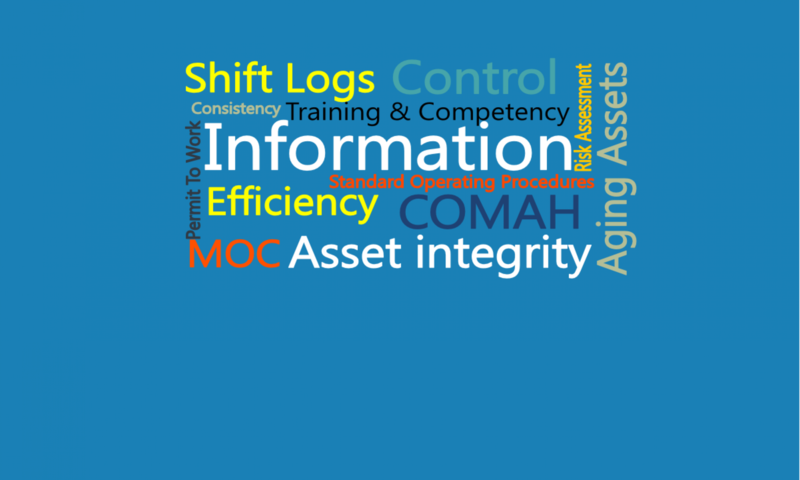 Using the application ensures that all MOC changes are processed in a consistent manner as defined by your own best practice policies. The progress of risk assessments, pre-commissioning checklists, actions and record updates are all transparent making it easy to audit and manage by exception. The application makes it much easier to process individual MOC’s and to manage the health of the whole MOC process. All authorised users can view the information associated with MOCs and add approvals to the stage gates as required. The ability to track record and action updates by actionee independently of their parent MOCs also makes it much easier to progress work. Having the MOC information available in a secure electronic format allows wider involvement in the MOC processes. Previous paper systems often made it difficult for plant operators to be involved in the MOC process whereas with a secure electronic system a much wider team of people can view the information and contribute to the Risk Assessment process. If you are interested in the MOC application we would be very happy to demonstrate it to you in person or via a web conference. Please give us a call or drop us an email.